We love Oliver Jeffers! Do you? Then you need this very special pack. 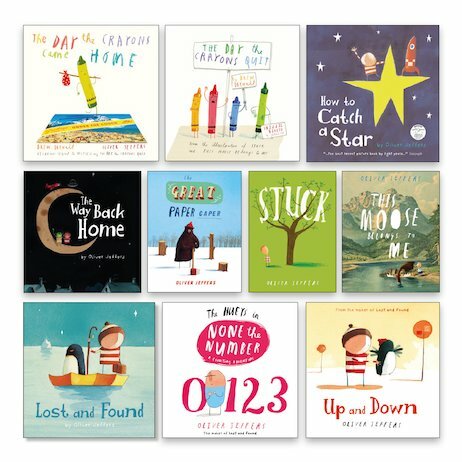 Heaps of his best-loved picture books to brighten up your bookshelf. What’s the nicest thing about them? It’s hard to choose. In fact, every book will have you picking out a new favourite bit! There are wonderful pictures, of course, in Oliver’s hallmark style. (You couldn’t mistake him for anyone else.) Plus – runaway crayons. Lonely penguins. Brave voyages into the great unknown. True friendship. The magic of reaching out for dreams. Hours of glorious enchantment.